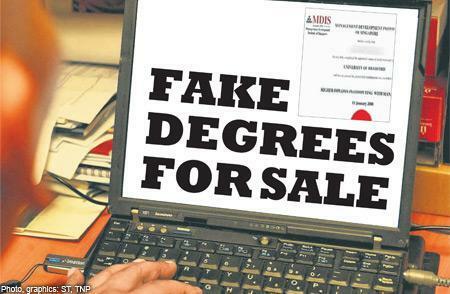 A northeastern Wisconsin judge will start sorting out this week whether a career con man who prided himself on outsmarting authorities set up a diploma mill from behind bars. The state Justice Department has accused 46-year-old Kenneth Shong of coaxing his fellow prison inmates into paying tuition to a distance-learning institution called Carlingford University, telling them the government in the United Kingdom had authorized the school to issue degrees through its London campus. Investigators contend the school isn’t chartered in the United Kingdom, though, and DOJ prosecutors charged Shong in January with felony fraud as a habitual criminal. His attorney maintains the state’s case is overblown. He says Shong believed the university had been set up properly and he never intended to cheat anyone. Shong’s three-day bench trial is set to begin Monday in front of Winnebago County Circuit Judge Scott Woldt. Shong faces up to seven years in prison, three years on extended supervision and $10,000 in fines if he’s convicted. State agents said in a criminal complaint that Shong was doing time at the Oshkosh Correctional Institution in 2006 when he encouraged fellow inmate Kenneth Fleming to earn his paralegal degree from Carlingford University. Shong told another inmate he had purchased the university while he was living in Greece, the complaint said. Shong told Fleming the school was chartered in the United Kingdom and incorporated in Delaware and Alabama, giving it the authority to issue degrees in the U.S.
Fleming convinced his mother to pay $1,740 in tuition to the university, and he got a letter accepting him into the school’s paralegal program. The letter listed an Alabama post office box as a return address. Fleming said he received three textbooks but by July 2008 had grown suspicious. He claimed the university was slow in returning his grades and sending him assignments, a letter his mother sent to the London campus came back as undeliverable and higher education officials in both Delaware and Alabama told him incorporation didn’t authorize the school to issue degrees, the complaint said. He filed a complaint with Wisconsin consumer protection officials in August 2008. Education officials in Wisconsin issued a cease-and-desist letter to the school’s website designer in November 2008; Alabama officials sent a similar letter to Shong weeks later. A Wisconsin DOJ agent couldn’t find any record of the university having degree-awarding authority in the United Kingdom, the complaint said. Two other Oshkosh inmates have also claimed they paid the university several hundred dollars in tuition after Shong convinced them to enroll. It’s unclear how much the alleged scheme netted or who may have profited, however. Justice Department spokeswoman Dana Brueck declined to comment on the case, but court documents show Assistant Attorney General Michael Schaefer may call as many as 25 witnesses during the trial, including Fleming, the two other inmates and education officials from Alabama, Delaware, Wisconsin and England. Defense attorney Jeffrey Brandt, meanwhile, has notified the judge he may call Shong to the stand, as well as an attorney whom Shong believed had set up the university properly. Brandt declined to comment on the case, but he has argued in court filings seeking to dismiss the fraud charge that no crime was committed. Fleming received value for his money in books and tests, Brandt wrote. If Fleming thinks he was overcharged he should go to small claims court, he said. He maintained, too, that Shong lacked the intent prosecutors need to prove fraud because he genuinely believed the attorney had everything set up so the university could exist legally.